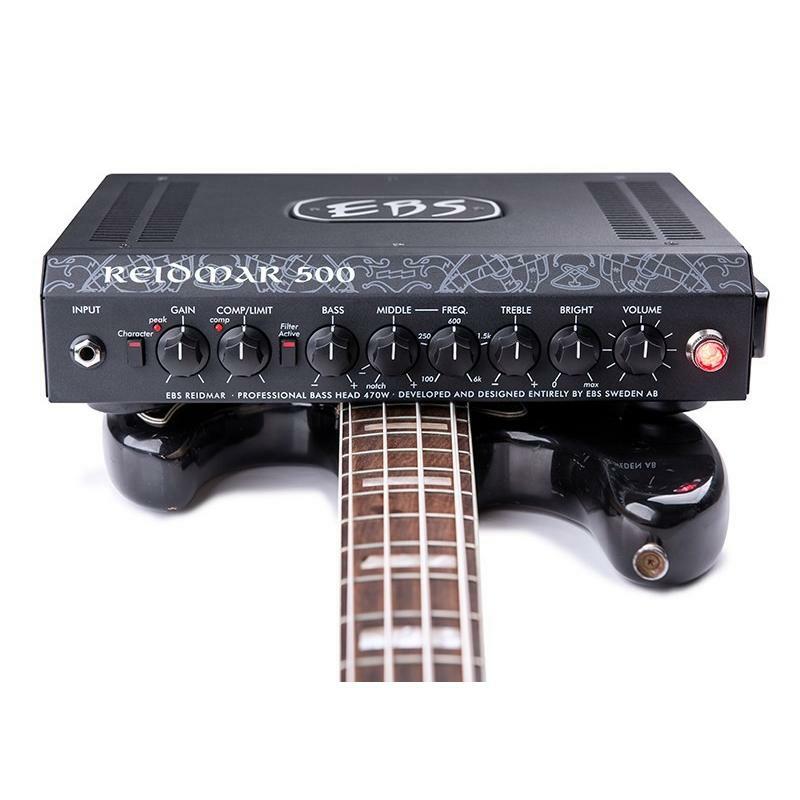 THE EBS REIDMAR 500 PACKS EBS PROFESSIONAL BASS SOUND IN AN AWARDED "LAP-TOP-BAG-SIZED", LIGHTWEIGHT AMP DESIGN. Natural sound. The Reidmar 500 amp is not so light that it will blow off your cabinet on a windy day, but it may well blow your mind. With clever engineering and selected high quality components, this amp offers a headroom and a tone quality that makes it hard to beat in comparison with other lightweight class-D amplifiers. Due to advanced soft-clip technology, the Reidmar does not suffer any loss of definition in the low register when the volume is turned up. Instead, it offer tone quality only matched by premium solid state amplifiers at a whole different price range - with the only difference this amp responds faster and with greater punch. Analog preamp. The analog preamp, featuring EBS renowned built-in compressor and a 4-band EQ-section, is very similar to the preamp on the HD360, except it does not feature a Drive control. Perfect Companions. Match the Reidmar 500 with a couple of EBS ClassicLine mini-size 112 cabinets, the new ClassicLine 210 or the NeoLine mini-size cabinets for more clarity and punch. Or any single full size EBS cabinet of choice rated at 4 Ohms for maximum power and tone quality.